Nothing is as synonymous with cruising as a buffet, right? 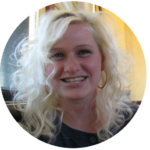 That, plus the cigarette smoke filtering into our room is pretty much most of what we remember about cruising with Carnival during the worst travel experience of our lives. 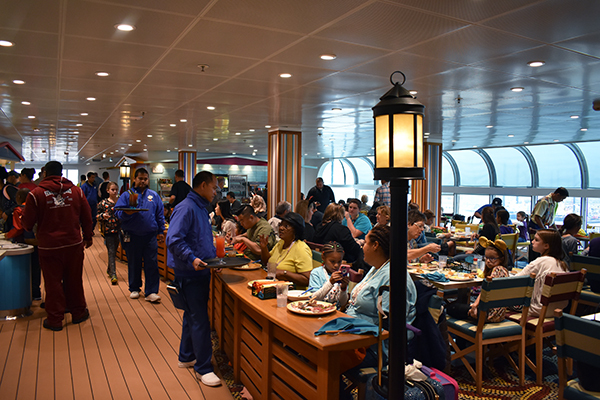 On a Disney Cruise, the buffet isn’t quite as memorable but perhaps only because everything about a Disney cruise is remarkable. Cabanas is the Disney Cruise Line buffet, and it is open for both breakfast and lunch options and offers themed dining selections every day of the cruise. There are two entrances to Cabanas. Immediately after stepping through the doors, you’ll find a stack of plates in front of you and the food selections will make your tummy rumble. 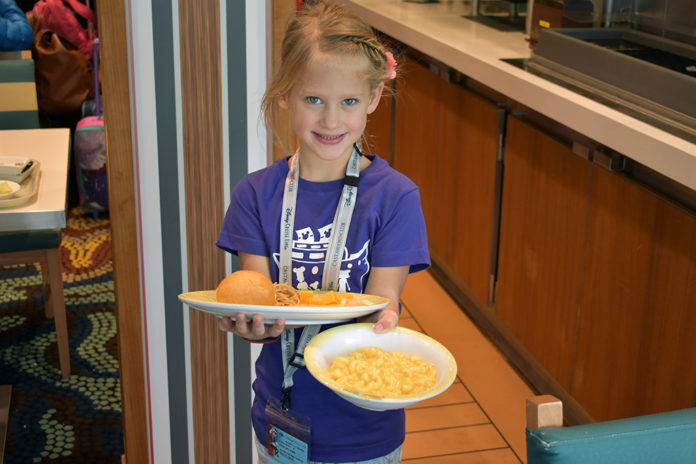 You won’t find a specific kids area of the buffet, but you will find a huge variety of food offered from fish to french fries, and manicotti to macaroni and cheese. The selections mirror themselves until they meet in the middle. During lunch, the middle section is reserved for desserts. 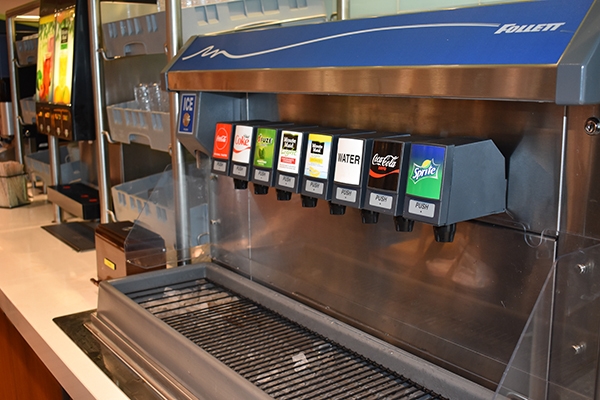 There are also two additional food carts behind the main circular buffet that offers fresh fruits, cheeses, yogurts, salad and shrimp depending on the time of your visit. Drinks are self serve from a centrally located fountain. Each day the selections will vary with some favorites offered every day. 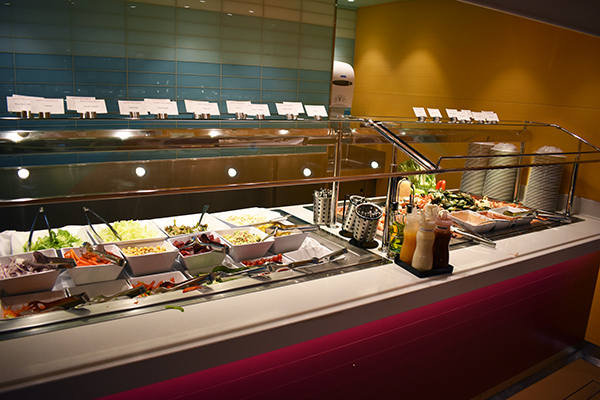 Often, you’ll find a theme running throughout the buffet, such as Mexican fare. One day of the cruise will be dedicated to specialty breads and you’ll find chocolate bread, lemon bread, poppyseed bread and banana bread! Seating is plentiful. Tables are scattered throughout the restaurant, and extend outside onto the deck overlooking the water. There is an easily accessible staircase to sit in a quieter section one deck above. 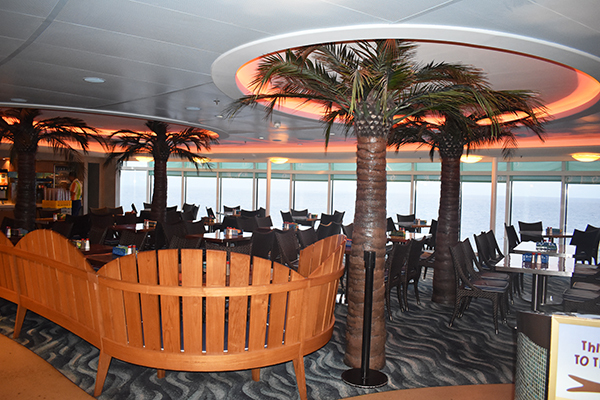 Cabanas is also conveniently located on the same deck as the pool and funnel vision, so it’s just as easy to take your plate of food to tables or deck chairs outside. At night, Cabanas transforms into a sit down option for guests who miss their rotational dining service. Here you can select from a menu that offers a combination of the restaurant offerings from the night before, plus a variety of standard selections unique to this restaurant. Service runs all evening to accommodate guests with all different plans. One of our favorite things to do is come up here after our evening show and order something to take back to the room for our version of a night cap. On the Disney Magic and the Disney Wonder we could head up to Cabanas any time we wanted to grab something to eat, up until about 5p. But on the Disney Fantasy, Cabanas was never open past 2p. This was hugely disappointing, because although we can’t really argue that buffet food is the greatest option ever, you could always rely on getting something to appease everyone. Plus, it was a far cry better than the fried food options over at Flo’s Cafe and the non-existent advertised salad bar. ► For Kids: Cabanas is a great option with no fuss and no fighting. Everyone gets to pick their favorite food and no one has to haggle over finding something that they will like. The location is prime for enjoying a meal indoors or outdoors and it’s a loud rambunctious setting where no one is dressed up and no one is quiet. 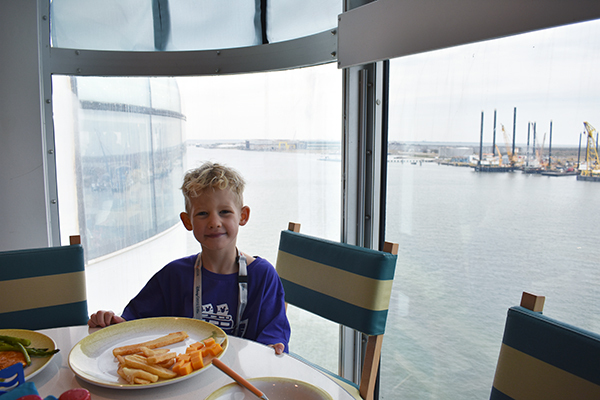 This is pretty much Gabriel’s favorite place to eat on a cruise. He doesn’t have any regrets or qualms about coming up here everyday for both breakfast and lunch. Whereas I would prefer a more sit down option where I feel like the meals are prepared specially just for me. Which side of the debate do you support? Are you Team Gabriel, or Team Catherine? ► Nap-Time Version: The Disney Cruise Buffet Cabanas is a boisterous and laid back restaurant that features a huge variety of food to suit all tastes and preferences. When it comes to food on a Disney Cruise the options don’t stop here. 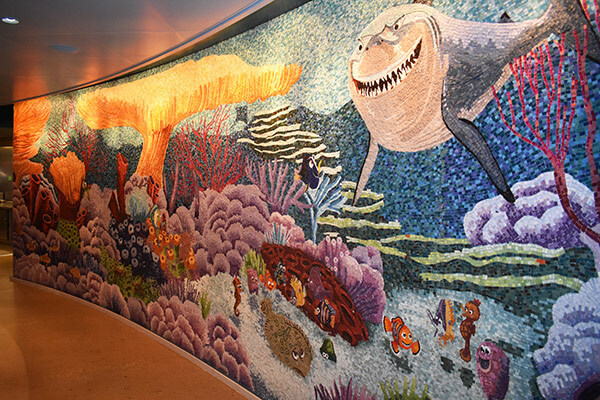 You can read everything you need to know about rotational dining, Animator’s Palate and all your quick service options right here in our Destination Guide: Disney Magic.